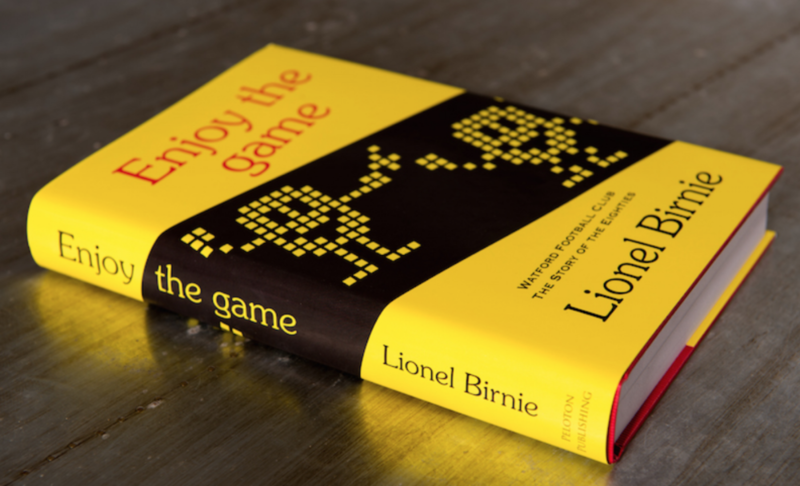 This is the story of Watford’s FA Cup run to Wembley in 1984 from the book Enjoy the Game. Elton John’s record company was finalising the details of his European Express Tour, arranging concerts from Brussels to Berlin and Madrid to Milan, when Graham Taylor told him it might be an idea to keep one particular date free. There aren’t many football managers who would dare say, ‘Don’t make any plans for the third Saturday in May, Mr Chairman. 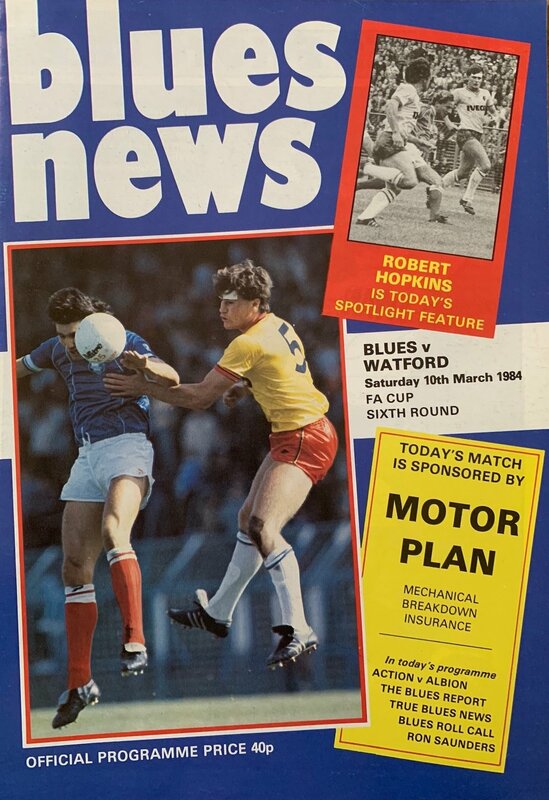 We’re all going to Wembley,’ before the draw for the third round had even been made, but as 1983 came to a close, and with league results improving, Taylor felt his remoulded team was coming together just in time for the start of the competition. 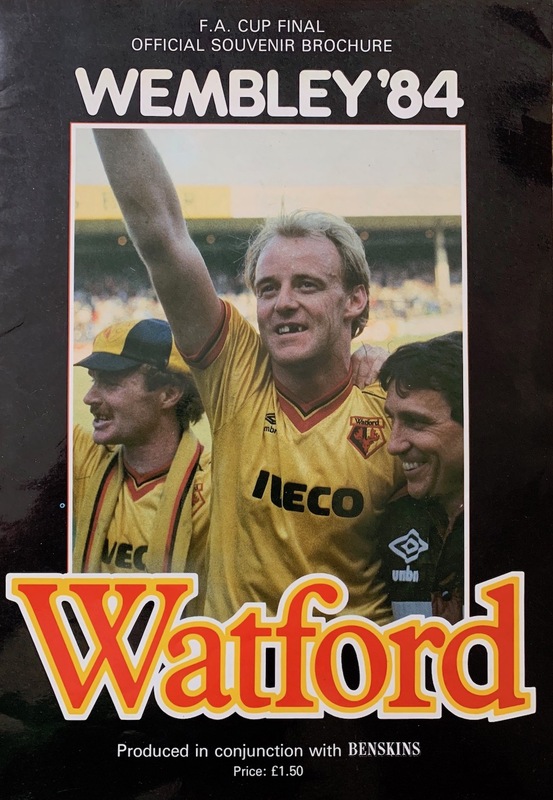 Although Elton knew not to take the manager’s tip-off as any guarantee, the supporters began to entertain dreams of a cup run when they read Taylor’s thoughts in the Watford Observer. Discussing the team’s cup chances with unbending logic, he said: ‘On the majority of occasions the FA Cup final is fought out between two First Division clubs. Any inflated sense of optimism was punctured when the draw for the third round was made. It could not have been much worse than a trip to Luton Town, a venue that spelled almost certain defeat if recent history was anything to go by. Luton’s hold over Watford, especially on their own ground, defied even Taylor’s logic and added up to only one thing – victory for the Hatters, probably by a deflected goal in the 85th minute. Kenilworth Road was not a fruitful place to visit, the last win there had been on Boxing Day 1964, and all four of Graham Taylor’s trips up the M1 as Watford manager had ended in defeat, three of them by a goal to nil. The Hatters enjoyed the spell they seemed to hold over their local rivals and even the previous April’s 5-2 defeat at Vicarage Road had failed to exorcise it entirely. There was just something about Luton that meant they got the rub of the green more often than not, and it had become utterly infuriating for Watford’s followers. Twenty six minutes into the match, Luton were 2-0 up and looked in no need of any luck. As the Watford players trudged back into position after Brian Stein had scored Luton’s second, David Bardsley, still raw and inexperienced, turned to Steve Sims. ‘Bloody hell Simsy, we’re finished here,’ he said. Within a minute, Watford had a managed to claw a goal back, thanks to some Luton-esque good fortune. Nigel Callaghan was fouled just outside the penalty area, John Barnes took the free kick and the ball deflected off Brian Horton as he charged out from Luton’s defensive wall and spun past Les Sealey, their goalkeeper. Shortly before half-time, Barnes was chopped down in the area and Maurice Johnston scored from the penalty spot. With the equaliser, the momentum swung back in Watford’s favour and what followed was a fiery battle for supremacy that threatened to spill over. At one point, Luton’s belligerent defender Kirk Stephens swung his arm and poked Johnston in the eye. He claimed to the referee with wide-eyed innocence that he was merely signalling in Sealey’s direction. From there, the game simmered and spat but there were no further goals and it end two apiece. Four days later, at Vicarage Road in the replayed match, the roles were reversed. This time it was Watford’s turn to take a 2-0 lead before the half-hour mark. Callaghan scored very early and George Reilly added the second before Mal Donaghy lifted Luton with a goal just before the break. When Barnes scored Watford’s third shortly after the interval, the Hornets looked to have finally cracked them, only for Paul Walsh to grab two in quick succession. The final 20 minutes were pulsating and every effort expended by the players on the heavy pitch as they searched for the decisive goal was matched by the nervous energy shed on the terraces. This was gripping, sudden-death stuff, with neither side willing to settle for a second replay. The winning goal from Johnston came in the first period of extra time and Watford withstood a late Luton onslaught to go through. Elton was on Montserrat, the Caribbean island, recording an album, and had spent the whole two hours on the phone, listening to Watford General Hospital radio’s commentary. It was, he said, his most expensive phone call ever, as he racked up a bill totalling several hundred pounds. But, he said, it was worth it. Watford’s chances of reaching the final were significantly better than one in eleven now, as a clutch of big names were turfed out of the cup that January weekend. Manchester United, the holders, were knocked out by Third Division Bournemouth, who were managed by Harry Redknapp. Arsenal lost at Middlesbrough while Nottingham Forest and Aston Villa were also beaten. Liverpool and Tottenham Hotspur fell at the fourth round stage, as Watford skipped nimbly past Second Division Charlton Athletic at The Valley. Each giant that fell made Watford’s view of the twin towers a little clearer and by the time the fifth round draw pitted them against Second Division Brighton, the previous year’s beaten finalists and Liverpool’s conquerors in the previous round, the Hornets were second favourites to lift the cup. The bookmakers favoured Southampton, who were going well in the league, but did not rate Everton at that point because they were languishing. Watford’s front four hit their stride that spring, with Callaghan and Barnes on the flanks keeping Johnston and Reilly well supplied. Goals were flying in – five at Notts County, four at West Ham, four against Everton. The defence may not have been watertight but the team was playing with verve and confidence again. Reilly had won over the supporters and the ovation he got as he was substituted towards the end of the 3-1 cup win against Brighton was a far cry from the boos he’d heard in the autumn. There was a sense the team was on a roll, and even an awkward quarter-final draw couldn’t derail them. A week before the FA Cup sixth round match at Birmingham City, Watford travelled to Leicester, Steve Sims’s old club. Sims had only passed a fitness test on the lunchtime of the match, having suffered two dead legs in the previous week’s game against Everton. Early in the second half at Filbert Street, he cleared the ball upfield and as his leg followed through it cracked against a Leicester player who had tried to close him down. ‘At first I thought “Ow, that hurt” but I carried on for a few minutes,’ says Sims. Sims had his wound stitched in the dressing room and he went back out. ‘I stayed on the wing, out of the way, just making up the numbers because I could hardly move. I was dreading the ball coming near me as the ankle was getting so sore. After the match I’d been planning to stay up in Leicester, which is my wife’s home town, because it was my son’s first birthday but I decided to go back and get my ankle sorted out. I was on the coach and a couple of the lads were laughing at me because I was saying it hurt.’ Sims rarely complained and was often telling others to ‘stop moaning, it’s only a flesh wound’. Sims took up two seats on the coach, trying to keep his ankle still, wincing every time the coach jolted. One day in March, Billy Hails was out in the Twin Tub, the nickname for club’s Fiat Panda that was used and abused by the club’s coaching staff, when it conked out, grinding to a halt with a shudder and a horrible grating sound. The car had run out of oil so the engine seized up. They later found the repair bill would be about £1,000, so Hails, John Ward, Steve Harrison and Tom Walley got together to discuss the problem. They decided to pre-empt the manager’s annoyance and split the repair bill between them. ‘Billy may have been driving when the oil ran out but we’d all been using the car so the fairest thing was to all put in £250. The four of them sat in the little office under the stairs off the corridor below the main stand, waiting for the manager, ready to disarm him with their solution. Taylor walked in with four brown envelopes in his hand. Taylor gave each of them an envelope. No one wanted to take a peek and see the cost of their error in black and white. They looked at each other. Two hundred and fifty quid down the drain. Great. Inside was not a bill for the repairs but airline tickets and the details of a swish-looking hotel in Portugal. Puzzled looks all round. Taylor had booked a hotel in the Algarve for a month and wanted each of them, in turn, to spend a week away. Anticipating the possibility of the team reaching the FA Cup final, Taylor knew the extra burden it would place on his staff. He wanted to give them a rest, a chance to recharge their batteries and return refreshed for the push to Wembley. Because of the European campaign and then the FA Cup run, they’d been working flat-out, with barely a pause for breath, for almost nine months. The four drew straws to see who would take which week and, after a look at the fixture list, Ward and Walley knew they would miss the FA Cup quarter-final against Birmingham City. Although they ended up getting relegated from the First Division at the end of the season, Birmingham were on a roll when they welcomed the Hornets to St Andrew’s. They had enjoyed a 12-match unbeaten run just prior to Watford’s visit and were slight favourites, partly because St Andrew’s was never an easy place to go. Even with 10,000 Watford supporters in the stadium, the atmosphere was overwhelming and intimidating. A big, tough, working-class crowd anticipating an afternoon of cup heroics from their big, tough, workmanlike team. The attendance was 40,220 that day but there was barely room to move on those vast, ageing terraces. John Barnes scored a superb goal midway through the first half. A huge kick from Sherwood fell out of the sky with such weight that the back-pedalling Blake, under pressure from Reilly, could only head it sideways. Barnes, lurking on the left of the penalty area controlled it and, with footwork as quick and deceptive as a magician’s trick, cut inside his marker. He admitted that the slight bobble the ball took off the turf as he was preparing to strike it enabled him to get such pace and swerve on the shot. The ball dipped over Coton’s head into the net and even the goalkeeper had to admire it. ‘Yeah, Barnesy got a flukey one,’ Coton says, deadpan. Twelve minutes remained when a headed clearance fell to Les Taylor on the left-hand side of Birmingham’s penalty area. He controlled it neatly, took a couple of strides and fired a powerful, rising left-foot shot that hit the underside of the bar and went in. It was his only goal of the season. Watford’s fans were still in full voice when, two minutes later Callaghan took a long throw-in that was flicked on by Reilly and then by Johnston before Barnes arrived at the far post to stab it home. At about the time the team stepped onto the pitch at St Andrew’s, John Ward and his wife were boarding a plane for Portugal. Although he was looking forward to a week in the sunshine, his mind was elsewhere. ‘I thought to myself at the airport, “What am I doing here? I want to be in Birmingham,”’ he says. By the time they touched down in Faro he knew the game would be over and Watford could be in the semi-final. Ward asked one of the stewardesses if the pilot might be able to find out the score while they were in the air. The stewardess smiled and said she’d see what she could do but there was no announcement from the captain. Walley went off to find a payphone. A few minutes later he returned and ran right up to the glass with a huge smile on his face. He held his fingers up. Three on one hand, one on the other. Watford had done it. They were going to the semi-final. Watford were into the semi-final of the FA Cup for only the second time in their history. The team that had made it was relatively inexperienced in terms of the cup. Of the team that disposed of Birmingham, only Wilf Rostron had played in a sixth round tie before, let alone reached the last four, so most of them were sailing well into uncharted territory. Many of the supporters remembered the previous FA Cup semi-final, that 5-1 drubbing by Chelsea at White Hart Lane in 1970. But this time was different. Watford would go into the game as a First Division team. Wembley was one step away and they need not fear anyone left in the hat. The players had been given Monday off after the Birmingham game, so they were not gathered all together when the draw was broadcast on BBC radio that lunchtime. With a couple of replays to come, six teams went into the velvet bag, with Everton the only obvious one to avoid. In recent weeks, the Merseysiders had been resurgent after a poor start to the season and Howard Kendall, so close to the sack in the autumn, had begun to craft a very fine team. Southampton had drawn their sixth round match at Hillsborough against Howard Wilkinson’s Sheffield Wednesday side, who were well on course for promotion from the Second Division. Neither of them looked unbeatable nor particularly inviting, so that left Second Division strugglers Derby County, or Third Division Plymouth Argyle, who had drawn against each other, as the favoured opponents for the Hornets. Argyle, who had knocked out West Bromwich Albion earlier in the competition, pulled off another shock when a corner kick from Andy Rogers swung directly into Derby’s net in their replay at the Baseball Ground. 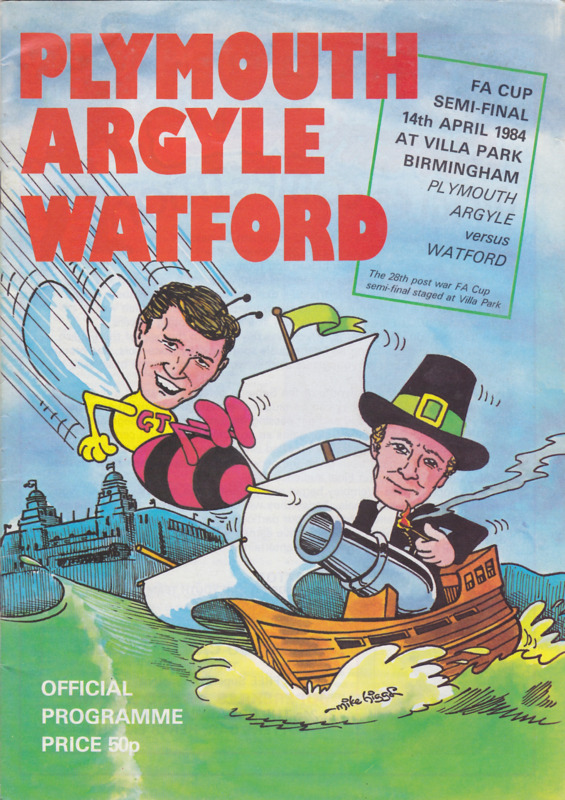 That meant Watford would be the hot favourites against a Third Division side but, with the heady expectation and anticipation in the air, Graham Taylor was quick to ensure his players did not take anything for granted. The whole country would be rooting for an upset, he told them, so they had to make sure they were disciplined and ready for a battle. Plymouth had nothing to lose while Watford were expected to reach Wembley. For most of the supporters, the Hornets already had one foot in the final. Taylor received a letter from a lady saying her son didn’t even watch football but that a couple of tickets might be a nice surprise for his birthday. She even offered to pay for them. One man wrote explaining that the ticket stubs he needed to provide as proof of his support had been put in the wash by his wife and were now a papery mush. Others were offering to pay twice or three times the face value of the tickets. And this was before Plymouth had been defeated. Taylor knew the Third Division side would not be a push-over. He also knew that injuries were starting to chip away at a team that had begun to hit its stride. With Steve Sims certain to miss the semi-final and facing a race to be fit should the team reach Wembley, the last thing Taylor needed was to lose his other central defender. Paul Franklin had grown into the team and proved to the manager that he was the preferred replacement for Ian Bolton. Some of his performances in the early part of the year had been outstanding. Franklin didn’t know it but the quarter-final would be his last first team game for 20 months. Although it wasn’t anything drastic, the team, in such fine, freeflowing form up to the Birmingham game, was beginning to show signs of tension. With his first-choice central defensive partnership unavailable, Taylor had to throw Steve Terry and Lee Sinnott together. Terry could cope, he’d played plenty of times before and slotted into the side as if he’d never been away, playing well at Birmingham despite the own goal. Sinnott, still only 18, had played a handful of matches at left-back when he’d first arrived from Walsall in the autumn. However, he had been a non-playing member of the first team squad so the number of games he’d played for the reserves was limited. When he did play he was sometimes a full-back, sometimes a central defender. Before they came together in the first team for a league match against Queens Park Rangers, Terry and Sinnott had played together just twice for the reserves, in a 3-0 defeat against Arsenal and a 4-1 defeat against Tottenham. But the injuries to Sims and Franklin meant the manager was running out of options. ‘We had to learn to work together quite quickly,’ says Terry. Where everything had looked so stable a month or so before, there was now uncertainty and disruption. It was a little like the European campaign all over again. Reilly and Rostron picked up minor injuries and three or four players – Terry and Bardsley among them – knew that another booking would rule them out of the semi-final. Injuries and suspensions were about to open the door for the combative left-back Neil Price. Price had played in a couple of the European games as Watford pushed Wilf Rostron up into midfield to plug a gap but his run in the team came to an abrupt end when he kicked Arsenal’s Charlie Nicholas into the stand at Highbury and was sent off. Plymouth’s manager, John Hore, asked Watford’s permission for Price and Cassidy to play in the FA Cup tie against Derby. Watford said no. Once the draw was made, there was speculation that Watford may let Price play against them in the semi-final. There was nothing in the FA’s rules to prevent it but Price says it was never going to happen. The way he saw it, he’d rather sit in the stand than have to play against Watford in such a vital game. Price couldn’t imagine being part of a side seeking to deny his own club a place at Wembley. After a handful of games for Plymouth, Price was recalled and went back into Watford’s reserves but as the season ended he would be thrust back into the spotlight. A pattern was starting to emerge ahead of the cup ties. Watford were thumped 4-1 by Leicester a week before the quarter-final. Seven days ahead of the semi-final, they travelled to Carrow Road to face Norwich City. John Deehan scored four as the Canaries won 6-1. It was one of those days they’d have preferred to forget. Unfortunately, the television cameras were there, filming for ITV’s Sunday lunchtime programme, The Big Match. Callaghan tried to make light of the result, pointing out that he’d broken his pre-match ritual. ‘Look what happens when I forget to take my portable radio with me on the coach,’ he said. There was more bad news on the injury front when Jackett hurt his knee and was told he’d miss the Plymouth game. Not for the first time in the season, Taylor was trying to compile a jigsaw with several of the key pieces missing. The problems weren’t as deep as they had been during the European campaign but the advantage then was he had absolutely no choice but to throw in the youngsters. Now he had some decisions to make. Should he move Rostron, who was fit again, into midfield and play Price at the back, or should he go with Atkinson alongside Taylor in the centre? What about Richard Jobson, who had done so well against European opposition but then got injured and was only just on his way back? The national press had got hold of a juicier story to tantalise the supporters. According to at least one tabloid, Luther Blissett was set for a shock transfer back to Watford in time to face Plymouth. It had been an open secret since the start of the year that Blissett would be on his way from Milan at the end of the season. At that stage, he had scored just three goals in the league and – as Italian clubs were restricted to having only two foreign players at a time – Milan wanted a change. ‘I could have gone back before the transfer deadline and been eligible for the FA Cup,’ says Blissett, who had travelled home to see his old team play on a number of occasions. In March, Taylor made good on his promise to watch Blissett play for Milan and travelled to Italy with Rita to see the Milan derby against Internazionale. It was a tight, goalless draw and Blissett barely had a chance to score. This was what Taylor considered to be ‘anti-football’. Although the possibility of Blissett returning to Watford still hung in the air after the English transfer deadline had passed in late March it was now no more than a fanciful notion. In theory Blissett could have signed for Watford and, as long as he registered at least seven days before the Plymouth match, he’d have been eligible for the FA Cup but not the league matches. Such a transfer made little sense for anyone. For a start, Blissett was determined to see out a full season in Italy. Milan were still in the Italian Cup and, although he knew he would be leaving, he didn’t want to turn his back on a difficult situation, even with the vague glimmer of a Wembley appearance potentially on offer. Running home to Watford just because it wasn’t working out was not Luther’s style at all. As for Taylor, he had a settled strikeforce and could do without the fuss and hullabaloo that the return of a terrace hero would bring on the eve of such an important game. There may have been a grain of substance to it but really, the storyline of Blissett returning home and making a Roy of the Rovers appearance in the FA Cup was just that, a fairy story. Taylor was conscious that Watford were in an unusual position – that of favourites. And he sensed the players were nervous. He wanted to give one or two of the players time to prepare. As much as possible, Taylor tried to treat the semi-final like any other away game so the team travelled to the Midlands on the morning of the match. The night before, the coaching and management staff observed what was, by now, a cup tradition. They had a meal together and enjoyed the chance to spend some time with their wives and talk and think about anything other than the following day’s game. It was a blustery spring afternoon at Villa Park. Watford’s bright red and yellow and Plymouth’s deep green and white faced off against one another as the supporters of the two teams embraced the occasion to the full. There was something electrifying about the cup semi-final in those days. Rarely did you have an occasion when such a big crowd was split so evenly in their support for the two teams. This was not like a normal league match where a small but vocal band of away supporters tried to make their presence felt. The Holte End, a huge covered terrace behind one of the goals, was split down the middle and the two sets of supporters competed for supremacy. The balloons, flags, banners and clouds of torn up newspaper confetti swirling in the breeze gave a vibrancy to the occasion and helped mask the worst of the nerves. The game that followed was not a classic but semi-finals are all about the result. The only goal came after 13 minutes when Barnes took the ball from just inside Plymouth’s half all the way to the touchline and sent over a cross that seemed to hang in the air awaiting George Reilly’s arrival. Reilly attacked the near post and connected sweetly. Not long afterwards, Callaghan shot from outside the penalty area and Watford’s supporters thought they had a comfortable 2-0 advantage, until the linesman flagged for offside. Watching from the stand was an agonising experience for Jackett and Franklin, although at least Jackett knew he had a chance of playing in the final if his team-mates got through. ‘I wanted to be out there helping the team,’ says Jackett. ‘It’s easy to see little things that are happening down there on the pitch and think you could sort it out if you were out there. Most of all, I just wanted them to win the game and get the club to Wembley but then, of course, in the back of my mind I was wondering if I’d actually get to play in the final.’ By now Franklin had undergone three operations to remove the cartilage in his knee. His crutches propped up against the seat in front of him, he hated every minute of the game. ‘It was hard enough knowing I was going to miss that match in the first place, but to have the operation, then a major setback and to be on crutches knowing I had no chance of playing in the final was terrible. There was a clock in one corner of the ground and, for long periods of time, it seemed as if the minute hand was stuck. The intensity of the occasion and Argyle’s refusal to lie down meant time passed very slowly. And every minute that did tick by seemed to give Plymouth a greater urgency and desire to get the goal they needed to force extra-time. About 20 minutes remained when Steve Terry hurt his knee in a challenge. The studs of his boot got caught in the turf as his leg twisted. He played on for a while but the pain rapidly got worse. 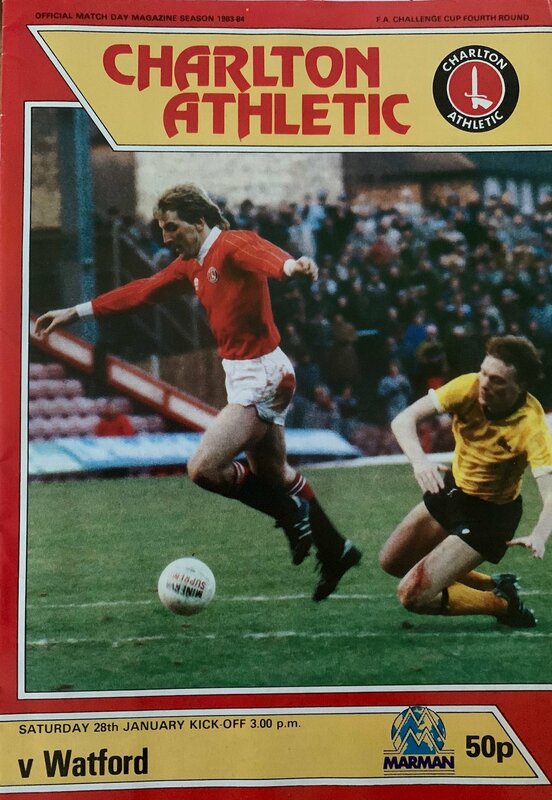 Graham Taylor sent Richard Jobson on and moved Reilly back to centre half for the last 15 minutes. Terry was lying down by the dug-out with an ice bag strapped to his knee to keep the swelling down. He propped himself up on his elbows so he could see what was happening out on the pitch. Jobson tried to settle in but found the pace frantic and the rhythm of the game evasive, like watching the last ten minutes of a film and trying to work out the plot. ‘There wasn’t much I could do in that time to influence the game in any serious way so I was just concentrating on not making any mistakes,’ he says. ‘George made a couple of great tackles with his bean-pole legs,’ says Terry, who longed to be out there, able to head and kick the ball away. Plymouth were getting closer to scoring the goal that would have forced extra-time. Time after time they attacked, roared on by their noisy supporters. Although it was a stomach-churning last 15 minutes, Taylor didn’t feel Plymouth deserved to win the game. ‘I always felt we looked like we could score again,’ he said after the match. The referee, Joe Worrall, blew the final whistle. As he did, the yellow and red half of the Holte End seemed to sag momentarily as ten thousand people finally allowed themselves to exhale after holding their breath for so long. It was only a heartbeat before waves of joyous celebration erupted. Six years after hauling themselves out of the Fourth Division, Watford had made it to the FA Cup final. Graham Taylor blew kisses to the crowd and if the crowd could have done, every single one of them would have kissed him back. The man on the public address system announced that the other semi-final between Everton and Southampton had gone into extra time but no one at Villa Park cared at that moment. The final could wait, this was time to enjoy the moment. The celebrations lingered on as joy gave way to a blinking disbelief, an emotion felt even more strongly by those who remembered trips to The Shay and Spotland as if they were yesterday. After the celebrations had died down, as they made their way from the stadium, Watford’s supporters knew their cup final opponents would be Everton. Terry was concerned about his knee and in the back of his mind the manager was too. Having lost Sims and Franklin he could ill-afford to patch up the centre of his defence a third time. Wilf Rostron, the club captain, would be denied what should have been the greatest moment of his career, the chance to lead his team out at Wembley, not by injury but by a referee’s decision. 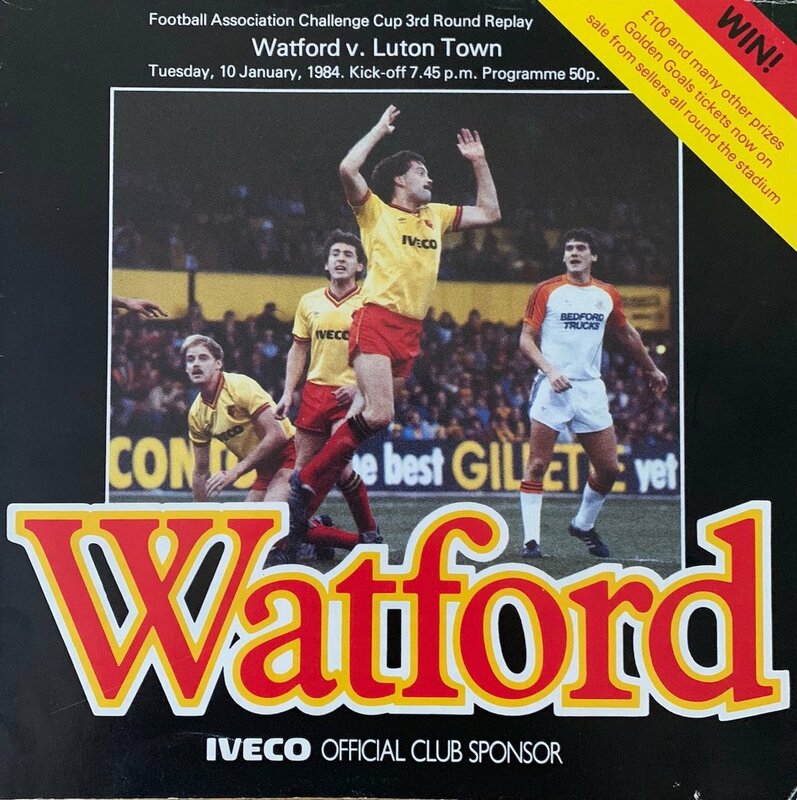 Three weeks before the final, Watford played Luton at Kenilworth Road. Taylor made a plea to the travelling supporters not to gloat in front of the home fans. He didn’t want them rubbing it in by singing, ‘We’re going to Wembley, we’re going to Wembley, you’re not.’ It was a request to exercise a restraint that would have been beyond any set of supporters in the land. Watford’s fans were going to enjoy their success to the full. By the time he had reached the tunnel at Kenilworth Road, vitriol and hatred still hanging in the air, Rostron had worked out he would not be playing at Wembley. Each booking earned the player disciplinary points and once you reached a certain total you served a two-match ban. Reach the next threshold and you got another ban. A sending-off resulted in an automatic suspension. The previous year, Brighton’s Steve Foster missed the FA Cup final against Manchester United because he had been booked in one of the final league games of the season, against Notts County. The booking took him over the threshold and he was given a two-match suspension, which coincided with the final. Bizarrely, had he been sent off in that Notts County game, he’d have been given a one-match ban and would have been eligible for the final. The rules were a mess. Foster had taken the case to the High Court but the judge refused to grant his appeal against the decision, partly on the basis that it would open the floodgates and the court would be clogged up with sports people making claims. However, the football authorities accepted the anomaly in the rules was unfair and potentially open to exploitation. In Taylor’s mind, the referee should have warned Elliott and Rostron and left it at that. At the very most, each player deserved a booking. Still simmering with anger a few days after the match, Taylor said that had the incident involved another Luton player, Rostron would not have been sent off. But Taylor thought because Elliott had already been booked and had to go, Milford felt pressure to send off the Watford player as well. ‘All that happened was that there was a tackle and then they chested each other,’ says Taylor. ‘But how can Wilf, who’s five foot six, go up against Elliott, who’s six foot-plus? If punches had been thrown, that’s a different matter, but they weren’t.’ The match report in the Watford Observer confirms that no punches were thrown. Milford, who still works as a referee’s assessor, doesn’t remember much about the match or the incident but recalls the furore afterwards. ‘I don’t recall the sending-off clearly at all,’ he says now. ‘In over 32 years of refereeing, do you think I remember every sending-off and caution? But for me to do that, I must have seen something to warrant a sending-off. I can’t remember having a conversation before the game, all I remember is Graham being very upset afterwards but as I see it I made a decision that was the correct one. Every referee makes mistakes but in this one I think I was right. ‘The thing is, as a referee it’s not your job to know what disciplinary points a player is on, or to know whether a sending-off affects another game, whether it’s a cup final or not. You have to make the correct decision on the pitch as you see it, regardless of the consequences and I think I did that. I saw it as violent conduct, they clashed, and I think even punches were thrown. Sherwood’s assessment was more succinct. ‘I don’t think Roger Milford liked Watford very much.’ Two years later, Milford gave Liverpool a penalty in the FA Cup sixth round replay, which only stoked up the sense of injustice. Ted Croker, the secretary of the Football Association, visited the two finalists in the run-up to the game to explain the protocol for cup final day. The first team squad gathered at Vicarage Road for the meeting. Rostron was there, involved in everything during the build-up, even though he would not be able to play. ‘It was one of the most upsetting things about it all,’ says Taylor. ‘Croker looked at Wilf and said “Well, you’re suspended so you won’t need to know this. Never mind, my brother missed one but they got there the following year, so make sure you do it next year, ha ha ha.” It was a terrible thing to say. Wilf may have chosen not to remember it, and whatever he may say about it, I could see the hurt in his eyes. When he spoke to the press after the game, Forest’s manager, Brian Clough, recalled the 7-3 League Cup victory the previous season, saying of Steve Sherwood: ‘He’s as honest as the day is long but we’ve put more goals past him than I’ve had hot dinners.’ With Wembley approaching, it was the last thing a goalkeeper would have wanted to hear. ‘I wasn’t at my peak form,’ says Sherwood. ‘But I wasn’t playing badly. Goals were going in but I didn’t feel I was at fault.’ One of Forest’s five was an own goal by Paul Atkinson. ‘A brilliant flying header into the top corner,’ he says with a roll of the eyes. As soon as one problem was solved, another cropped up. Two days before the Forest match, David Bardsley got a bang on the knee in training. John Barnes had been given time to get over a knock and was back in the side for the final league match of the season, against Arsenal, but the two full-back positions were still up for debate. Terry and Sinnott would be the central defensive pairing but with Rostron suspended and Bardsley doubtful who could play on the flanks? The 1984 squad, from the official FA Cup final souvenir brochure. Watford had a glut of reserve team matches in the fortnight leading up to the final and while Taylor was monitoring Sims’ recovery in the unlikely hope he might yet make it, he took the opportunity to experiment a bit, exploring his options. Pat Rice played for the first time in a month when Watford’s second string beat Hertford Town in the Herts Senior Cup final on Thursday, May 10 – nine days before the FA Cup final. The 509th and final league game of Rice’s long career came on the last day of the season. The opponents couldn’t have been more fitting – Arsenal, the club where Rice spent the bulk of his career. But this was not a day for gooey-eyed sentiment. Rice was still very much in the frame for a place in the cup final team. Bardsley’s recovery could not be guaranteed and the left-back position was still up for grabs. But Rice’s performance against Arsenal probably made Taylor’s decision for him. It was an emotional occasion for the Northern Irishman. Watford versus Arsenal. A clash between the only two clubs he’d played for in his 20-year career. ‘Before the game, Graham went on the tannoy and thanked the crowd for their support and for buying the cup final tickets, then he turned to the Arsenal fans and said “We’re even rolling out old Ricey for you,”’ he says. ‘Paul Davis was playing for Arsenal and they played a ball through the middle and he was clear on goal. I think I was last man, and I was coming across to intercept. To be truthful, I meant to take Paul out. I never meant to get the ball because I knew he’d knock it past me, and I knew there was no way I would catch him. I lunged at it. It would have been an awful challenge but I got the ball and afterwards people were saying “great tackle, one of the best tackles we’ve seen here.”’ A few minutes after that, Rice was applauded long and loud by both sets of supporters when he was substituted. He knew it was the end. Taylor shook his hand as he approached the bench and grinned at him. The manager didn’t say anything. He didn’t have to. They both knew Rice’s ‘brilliant’ last-gasp tackle had been a hopeful lunge. ‘If he was still thinking about putting me in the cup final team, that probably made his mind up for him,’ Rice says. Watford beat Arsenal 2-1 and after the players had all finished getting changed, Taylor asked them to sit tight rather than head up to the bar. Then he named his cup final team, there in the dressing room, assuming that David Bardsley passed a fitness test. There were still seven days to go before the match. On the Wednesday afternoon, Bardsley came through a reserve game against Brighton at Vicarage Road with no ill-effects. Taylor isn’t sure who would have stood in had Bardsley not made it. Rice, perhaps, or more likely Nigel Gibbs. But in the dressing room, he had named the eleven men who would start Watford’s first FA Cup final. Sherwood, Bardsley, Price, Taylor, Terry, Sinnott, Callaghan, Johnston, Reilly, Jackett and Barnes. Eleven men poised to make history for Watford Football Club. ‘Once I’d done it, I knew almost straight away it was a mistake to name it but I didn’t have the balls to alter the team,’ says Taylor. ‘I’m not going to say which alterations I would have made because I think that is unfair to those who did play, so I’ll keep it to myself. But I didn’t have the balls to tell people they were in the team and then to hurt them that much by changing it. Some people may be surprised I’m saying that. ‘We’d beaten Arsenal 2-1. Maurice had scored, George had scored and we’d played pretty well but the thing was I had seen how the defence had handled Plymouth so well. They had handled the occasion so well but, as young players, I felt they needed to know they were playing so they weren’t dwelling on it all week. The team had changed so quickly that season, we had this group of lads, so young, and they hadn’t really gelled. They were inconsistent, inexperienced but they had handled the semi-final. I thought if they knew they were in the team it would settle them down and we could spend the week focusing on the game rather than having people fretting about their places. Taylor had named the team to settle the nerves but other factors meant it was to be an unusual build-up. But then again, when you’re preparing for the biggest game of your life, what’s normal?